Have you lost the keys to your car, or broke it to two pieces? In almost all cases, when you lose your car key, you may need a mobile car keys locksmith to come to your aid. It simply more comfortable, and cheaper than towing your car to a local dealership. You can lose or break your key, anywhere, and any time. It can happen during shopping, traveling, working, or just hanging out with friends. In addition, most of car keys today involved and computer chip that locksmith need to program to your vehicle. Perhaps, you already need a car key replacement service, in the hope you can get over this problem as quick as possible. We proud to announce that we can help! For the purpose of helping our customers any time they need car key replacement service, we are available 24 hour a day, 7 days a week for emergency automotive locksmith service. Our mobile auto locksmiths can arrive anywhere in the Lehigh Valley in order to make your car key on site. Yes, you’ve heard it right. You don’t need to tow your vehicle to the service center, not to mention a waste of time looking for a ride to where you’ve parked your vehicle. Our car keys locksmith can do everything, on site. Think about the relief you can gain by calling us any time you need professional car keys locksmith. We can make most of car keys on the market today, whether basic, transponder, or high security key. In order to program your key, our locksmiths are equipped with the latest programming machines. It’s important to remember that not only we can help you with lost or broken car key, but also with lockout services. Except a standard car lockout, there are other types of automotive lockout services. For instance; trunk lockout or gas cap lockout. Another thing to remember is we can also help to solve problem with the ignition of your car. Ignition repair or replace, or troubleshooting ignition problem, we’re here to help. 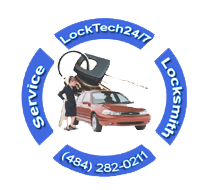 In addition to car key service, don’t hesitate to call us for any other type of automotive locksmith service. Whether lockout or ignition repair. Professional locksmith service is our expertise, and helping our customers throughout the Lehigh Valley is our pride.